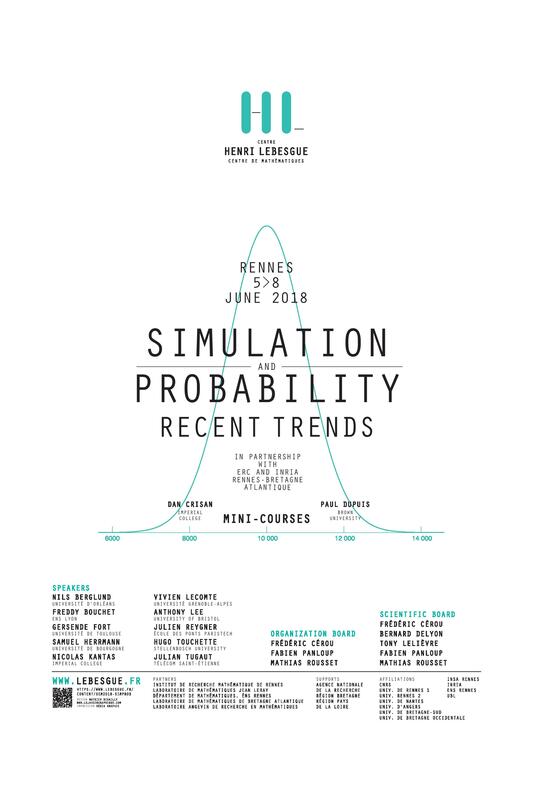 Particle Monte Carlo simulation methods usually refer to a now ubiquitous strategy where a sample of random "particles" approximating a target probability distribution are simulated using importance splitting and/or killing of particles according to some appropriate rules. This workshop aims at gathering in a single mathematically oriented event, some recent trends related to those particle methods. In particular: (i) the simulation of rare events and large deviation theory; and (ii) the filtering/assimilation of high dimensional data. Hotels in Rennes are very busy during the workshop, please book as soon as possible, or see "Practical information" section for help.